If you live in the San Jose area and are interested in upgrading the audio system in your 2007 through 2018 Jeep Wrangler JK, drop by California Car Sounds and Tint and ask about the Alpine SBV-10-WRA subwoofer. 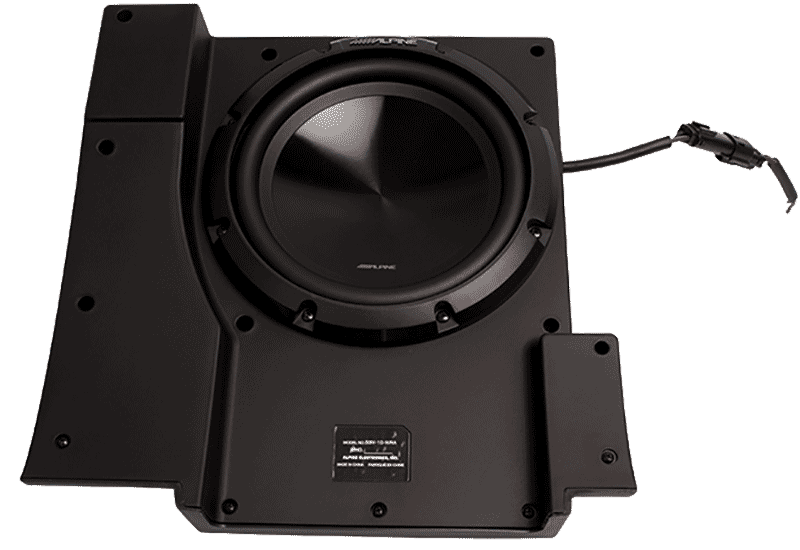 This custom-designed sub system is an efficient and easy way to add powerful bass to your Jeep stereo. 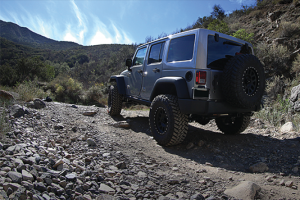 Let’s look at how Alpine has delivered a home-run solution for Jeep enthusiasts. The SBV-10-WRA fits perfectly under the passenger seat of your Jeep Wrangler and doesn’t require any modifications or custom mounting hardware. An OEM-quality weather-resistant Molex connector is provided to make it easy for our team to connect the subwoofer system to the amplifier of your choice. Speaking of weather-resistant, this Jeep Wrangler subwoofer features a trail-ready IP66 water and dust ingress rating. This rating means you can take the top off your Jeep and get things dusty and dirty without worrying about damaging the sub. Alpine designed this enclosure to fit in the front of the vehicle so that your music will sound great even with the windows down or the top removed. The Alpine SBV-10-WRA measures 16.25 by 15.75 by 8.375 inches and weighs a mere 18 pounds. That’s plenty compact for a real subwoofer. 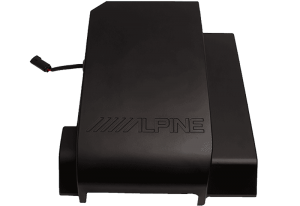 Alpine based the system around a 10-inch shallow-mount sub that is rated to provide bass down to 35Hz while handling 300 watts of power. 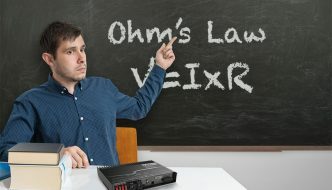 The driver presents a nominal 2-ohm load, making it a perfect match to amplifiers like the new weather-resistant Alpine KTA-30MW Tough Power Pack. Our team of expert car audio component integration technicians is available to install the SBV-10-WRA and an amplifier in your Jeep for amazing performance and reliability. 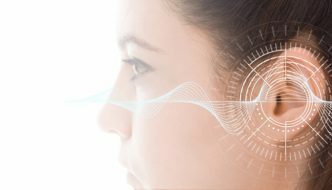 Our team utilizes industry-leading installation practices and materials to ensure that your upgrade will sound amazing for decades. If you own a 2007 through 2018 Jeep Wrangler and are tired of the weak, thin sound of the factory stereo, drop by California Car Sounds and Tint and speak with one of our product specialists about an upgrade. You can also reach us by e-mail to schedule a consultation.